For an artist who aspires to be 'an auteur', taking Woody Allen as his inspiration, it's strange how little of the music released by Danger Mouse, has actually been released under that nom de plume. Since the 2004 issuing of The Grey Album the Dark Night of the Soul collaboration with Sparklehorse and David Lynch is the only one of Brian Burton's many projects to bear his best known stage name. Perhaps, this explains Burton's faith in own authorial potency, the idea that no matter how many disparate projects he's involved in the marks of his vision or style will always be palpable in the finished product. Conversely, it could be argued that his propensity for collaboration with the likes of Cee-Lo, Mark Linkous and James Mercer completely undermines this aspiration. 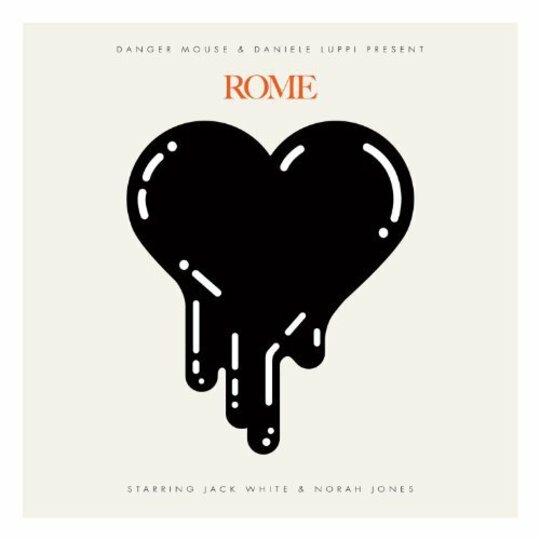 This brings us to Rome, with Burton placing himself in something of a director/producer role on the artwork which states “Danger Mouse & Daniele Luppi present Rome”, while Jack White and Norah Jones have “Starring” roles. Rome is unsurprisingly inspired by Italian movie soundtracks, particularly the spaghetti-westerns of Ennio Morricone, although his more lounge like compositions are detectable too. While Jack White and Norah Jones might be the biggest names at work here the real stars are certainly Burton himself and Luppi, an Italian composer and past collaborator on Gnarls Barkley records, with this record conceived of by the duo in 2005. Striving for authenticity, the duo reassembled a raft of veteran Italian musicians including the I Cantori Moderni choir, who featured on Morricone's film scores for Sergio Leone, as well as accumulating various vintage instruments. The effect is a gorgeous approximation of the sonic and textural characteristics of those soundtracks; the ominous toms and spare strums of 'Theme From Rome' are tense but lush, with the wail of opera singer Edda Dell'Orso like a ghostly apparition in the crossfire of shifty glances. 'The Rose With the Broken Neck' is gorgeously downtrodden, a tinkling celeste tracing the vocal melody of Jack White's plaintive verses, “ Lonely I see, lonely I need, lonely I feel and lonely I bleed”, bare instrumentation deftly embellished by flange-saturated guitar of a distinctly seventies bent. It shouldn't come as a surprise, but Jack White sure does have the right kind of voice for a gunslinger, which all the more evident on 'Two Against One', White sneering “The mirror is a trigger and your mouth's a gun”, as the brittle twang of parched guitar, acoustic fingerpicking and soulful backing choir combine playfully on one of the record's finest compositions. Norah Jones fares less well, but has poorer material to work with; the dulcet strings and gentle acoustics of 'Season's Trees' are pretty MOR to begin with, as is 'Black', but it's almost rescued by an arch turn in the melody, which recalls Phoenix's 'Run Run Run'. 'The Problem Queen' still stands up as a highlight, however, switching between fidgeting muted guitar and looping piano, it's a much headier concoction and Jones' voice assumes a seductively smoky timbre. 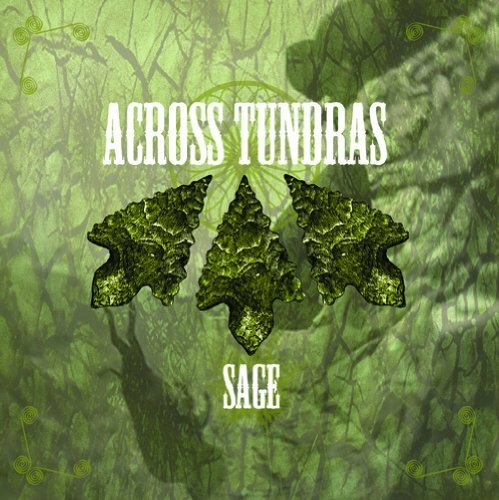 The most evocative highlights are found on instrumental tracks. 'Roman Blue' cloaks it's jazzy drums, bass and guitar in velvety strings, which nonetheless have the panoramic sweep to straddle both the lounge and western aspects of Morricone's work. On 'The Gambling Priest' the varying passages of twanging guitar and celeste on are both beset by the sinister lurch of backing “aahs” like a choir of foul-breathed vagabonds. Despite the skill and sense of authenticity that the players bring to the table, there's no avoiding the fact that in trying to emulate the feel of a film score, Burton and Luppi have failed to avoid the inherent flaws of treating a score as an album. While there are always stirring lead themes in a film, there will likewise be less engaging incidental music, the point of which is that they are easily ignorable. This is certainly the case with the characterless 'Morning Fog' and 'Her Hollow Ways', which feature as brief interludes, a move that seems inexplicable in the absence of an actual film to soundtrack. On a record that is already a bit samey, these interludes only exacerbate the problem, while the one song which throws a stylistic curveball, the pseudo-psychedelic carousel of 'The Matador Has Fallen', rather derails the whole mood. More problematic is the fact that while the record as the whole is a very convincing pastiche, it never truly transcends its status as a pastiche, or an ode to Morricone and co. With the musical inspiration behind it all available to hear, the whole exercise ultimately seems a bit pointless and leaves Danger Mouse looking more a dilettante than a genuine auteur. Nonetheless, Rome remains an occasionally breathtaking pastiche.